I found a old photo on Google Photos. The designed Cortex M0 was delivered to the factory, One of the master students commuted to the factory and finished all the debugging and waited until it was produced. 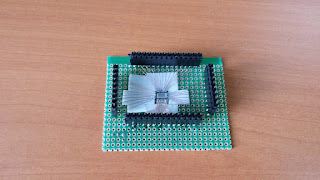 The Master had planned to complete the paper by measuring the performance in the produced Cortex M0. At the time when the submission date was short, I was informed that the Cortex M0 was made. 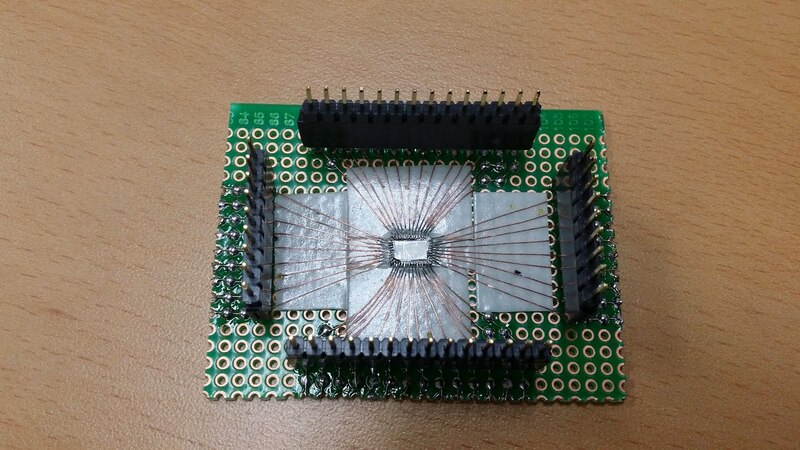 To use the factory-produced Cortex M0, need to package it. 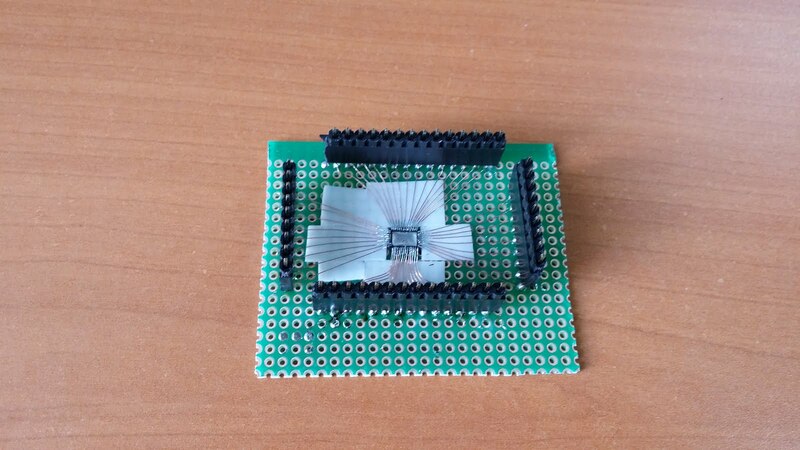 However, according to the schedule delivered by the packaging vendor, the packaging of the Cortex M0 can not be completed within the submission period. We had to find another way. Let's try soldering by hand! We've practiced to see if this is possible. We practiced once and we realized the importance of double-sided tape. I can not find what was in the picture right now. The student who wrote using this mcu now graduates and works at a semiconductor company.